Caption Welcome to the San Francisco Marathon™ presented by Runner's World a runner's marathon! Experience San Francisco and join thousands of marathon and half marathon runners to accomplish your goals in our cool summer fog. 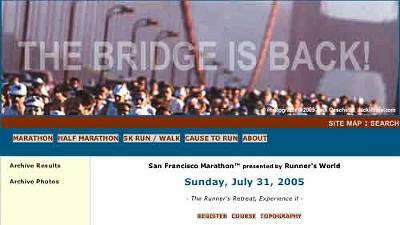 Headline JULY: Formerly the Chronicle Marathon. Copyright Notice Runner's World Inc.